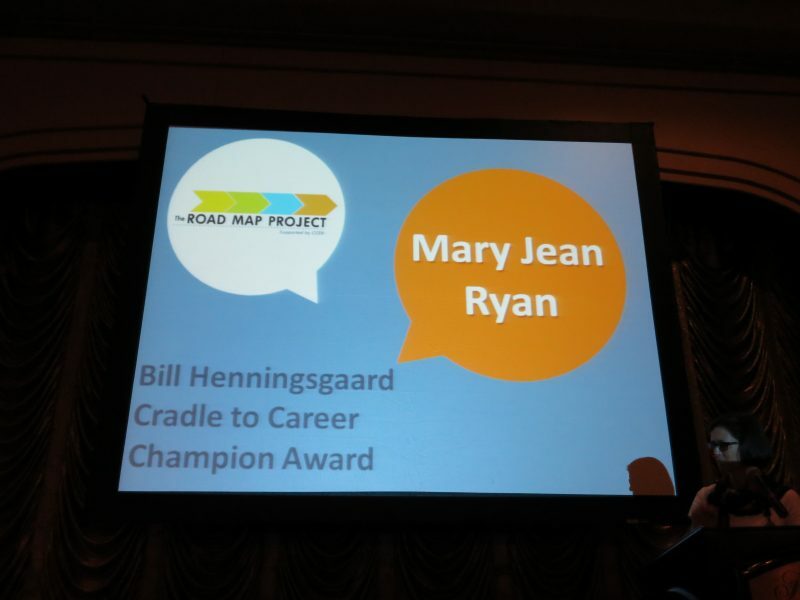 Named after one of the earliest and staunchest champions of our work, the Bill Henningsgaard Cradle to Career Champion Award annually recognizes a local advocate from a community in the StriveTogether Cradle to Career Network. We’re excited to open the nomination process for this year’s award. A tireless advocate for kids, Bill Henningsgaard brought together partners with a common vision for helping every child in his community succeed through Eastside Pathways, a cradle-to-career partnership in Bellevue, Washington. Eastside Pathways was one of the first members of the Cradle to Career Network and Bill was known for being a consistent voice, thoughtful contributor and critical friend from the beginning. StriveTogether established this award to honor his legacy after he and his son, Max, died in an airplane accident in 2013. 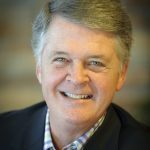 The award is given to an individual involved in a Cradle to Career Network community who embodies the passion, commitment and persistence modeled by Bill every day in his local work and in the broader collective impact field. Mary Jean Ryan, the Road Map Project’s executive director, says the example set by Bill remains a daily inspiration. She received the award in 2013. In honor of the fifth year — and fifth recognized champion in this work — we wanted to reintroduce you to our past winners and share their stories as they work tirelessly to improve outcomes for every child, cradle to career. What accomplishment have you seen in your community that you are most proud of since receiving the Cradle to Career Champion award? 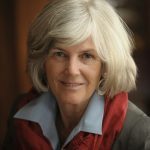 As a community, we have focused more closely on reducing the disparities that exist in suspensions and expulsions across the county, and over the course of the past five years have made progress on improving the systems that impact our students — our partner districts all have adopted equity policies and discipline incidents were reduced. Over the last year, we have focused at the school community site level to find those practices that most directly correlate with increased engagement and a subsequent decrease in referrals. And, the practices look promising: at one partner school, behavior referrals are down 46 percent as a result of this work, and at another partner school, referrals for boys of color are down 46 percent compared to last year. How do you embody the mantra “be the change” to achieve results for kids in your community? All Hands Raised staff members walk the talk: as a group we are adaptive, agile and culturally responsive. This is necessary to deliver over $1.5 million in pro bono services to our seven partner school districts and engaged community partners. The integration of Results Count into the work allows us to be confident in the “be the change” stance. Why do you believe it is important to recognize champions for change in this work? It is critical to share the work. All Hands Raised has the gift of partnering with school and community organizations to tell stories — stories of impact, stories of lessons learned and stories of hope — that reveal champions who deserve recognition and are often unseen. It is an honor and a responsibility to serve this role in the community. If you had to share a few words of wisdom for folks working to change systems to eliminate disparities and improve outcomes for every child, what would they be? Be confident and calm to hold the space for uncomfortable dialogue. Keep kids at the center of everything you do, especially this. Allow the data to frame the dialogue, yet allow the personal stories to build the trust that will actually change the systems. Listen, listen and then listen some more. In November 2016, we passed the Cincinnati Preschool Promise, one of the largest expansions in quality preschool in the country. 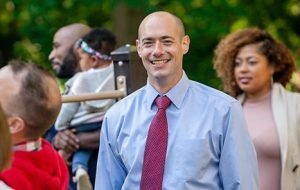 This effort, which will provide two years of quality preschool for Cincinnati’s children, was part of a larger effort to provide much needed funding for our schools as well. Voters approved the measure with the largest margin of victory of any education levy in Cincinnati’s history. This was a major “cradle-to-career” policy change. StrivePartnership is also very close to securing Ohio’s first ever Pay for Success investment as part of our early literacy venture philanthropy fund, Every Child Capital. I helped to lead the Cincinnati Preschool Promise and Every Child Capital, both of which provide systemic change on behalf of children, particularly those who have been left out and behind. To inspire others to appreciate the enormous power they too have in leading change. Have big ideas and the perseverance to get them done, no matter the obstacles. Strong partnerships with the co-leaders of our networks. 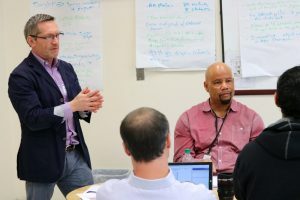 Each network has an Every Hand Joined facilitator and two leaders — one from the school district and one from community. Together they represent different perspectives and can impact others. Data presented in a user-friendly manner is more convincing than assumptions and helps get the attention of the non-believers. Every Hand Joined is doing a more effective job of communicating its successes as a result of working with partners throughout the community. More people are open to ideas if they understand the impact — ideas that show measurable progress rather than mandating change. It is particularly helpful if the champions represent diversity in your community. Smaller communities need to know “everyone” can be a champion. Too often it is the same people who get recognized. As frustrating as it is when it seems that everyone is on a different page and holding to what worked for them, be patient. The only changes that stick are those that are supported by a broad base of people who will be affected by the change. Know someone at or involved with your local cradle-to-career partnership who displays exceptional leadership, vision and commitment to ensuring that every child is supported in his or her educational journey, from cradle to career? Visit the Partner Portal now to learn more about the nomination criteria before the August 18 deadline. 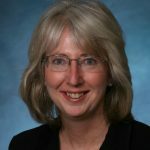 This year’s award recipient will receive a professional development stipend and will be recognized during a special presentation at the 2017 Cradle to Career Network Convening October 3-5 in Phoenix, Arizona.